For years, CWA members have been making thousands of phone calls, holding rallies, and lobbying members of Congress to include their top priority items in the FAA Reauthorization Act. Now, we are very close to winning our long fight! The newest version of the bill, passed by the U.S. House Wednesday and set for a Senate vote soon, includes AFA-CWA's top safety priority – instituting a minimum rest period of 10 hours for Flight Attendants, giving them equal rest with the flight crew, along with protections against eroding U.S. aviation jobs and enhancements to the security of our aviation system. The bill also includes stronger protections for airline passenger service agents from passenger assaults. Agents are often the target of passenger frustration with delays, baggage fees, and other airline policies. Agents have reported being verbally and physically assaulted by customers, including being hit, having luggage and equipment thrown at them, being pulled over counters, and getting spat upon. Passenger service agents and Flight Attendants helped develop the strong language in the FAA bill by meeting many times with members of Congress, and speaking with officials in the Department of Transportation, Federal Aviation Administration, and Transportation Security Administration. CWA members have been making thousands of phone calls, holding rallies, and lobbying members of Congress to include their top priority items for Flight Attendants (above) and passenger service agents (below) in the FAA Reauthorization Act. CWA Local 2252 AT&T Legacy T members are mobilizing across Virginia. Despite a massive windfall from the Republican corporate tax cut bill, AT&T continues to lay off workers and offshore jobs. It's time for a fair contract at AT&T! Frontier Flight Attendants, members of AFA-CWA, picketed for a fair contract on Friday at McCarran International Airport in Las Vegas, Nev., a Frontier hub, as they prepare to take a strike vote next month. "Management has left us no choice. We're preparing to do whatever it takes to get a fair contract," said Jennifer Sala, AFA-CWA Frontier President. "Frontier continues to grow as an airline, but as the company announces new destinations, management has left Frontier Flight Attendants behind. It's time management recognizes our contributions with a contract and living wage." The CWA bargaining team has been meeting with Windstream this week to continue working towards a new contract for CWA Local 13000 members at Windstream in Pennsylvania. The current contract expires this Sunday, so the bargaining team is asking members to get involved and be ready to mobilize for a fair contract. Dozens of working North Carolinians gathered in Greensboro Tuesday for a town hall discussion on the future of call center work in the state and to discuss concerns about middle class jobs being moved out of state or overseas. 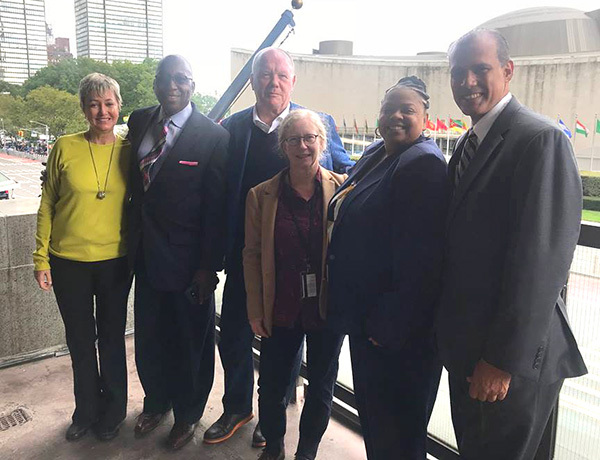 CWA, which represents North Carolina call center workers at AT&T and American Airlines, hosted the discussion with union members from multiple industries, trade experts, and elected officials. AT&T call center worker Ricky Totten, auto worker Jerry Hodge, and CWA legislative representative Dan Mauer addressed an auditorium packed with a diverse group of labor union members including telecommunications, airline, steel and auto workers, and others. They fielded questions on the fight against offshoring and outsourcing and highlighted the need for elected leaders to champion working people and fight for the future and protection of good call center jobs. "I've been laid off before so I understand the negative impacts on our families and communities when companies decide to move our jobs," said Totten, who has worked in an AT&T call center in Greensboro for 12 years. "When I started working for AT&T, the call center provided the pay and benefits my family needed to join the middle class in this new North Carolina economy. Our economy can't grow if we're always operating under the threat of companies like AT&T shipping jobs overseas, so we are working together to keep them here." Many attendees spoke in support of introducing a bill in Raleigh that would encourage companies like AT&T to keep jobs in state. The legislation would make U.S. companies that offshore their call center jobs from North Carolina ineligible for certain taxpayer funded grants, loans, and tax credits, and require that all state government call center work be done in-state. CWA has been advocating for the passage of similar call center legislation at the federal level and in other states. 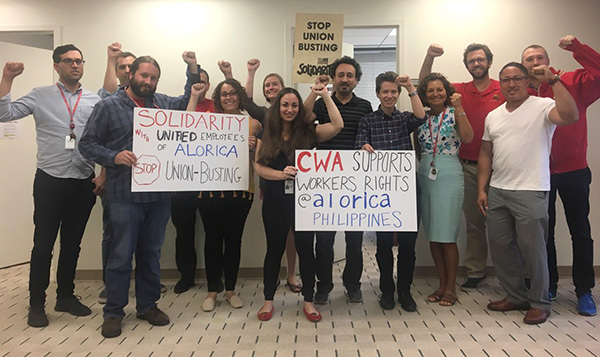 "The companies that call North Carolina home today need to recognize their responsibility to the communities building their profits and provide good pay and benefits," said CWA legislative representative Dan Mauer. "North Carolina workers need their elected leaders and candidates to stand with them in the fight against offshoring and job loss, especially in call centers." Congressional candidate Kathy Manning, State Senate candidate John Motsinger, and State House candidate Terri LeGrand attended the discussion, listened to the concerns of residents and discussed the importance of keeping good jobs in the state. North Carolinians gathered in Greensboro Tuesday for a town hall discussion hosted by CWA on the future of call center work in the state and to discuss concerns about middle class jobs being moved out of state or overseas. 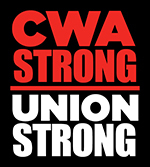 CWA represents more than 11,000 workers at CenturyLink. Patel helped oversee the company's merger with Level 3. After that merger, CenturyLink laid off 1,000 employees, with a company spokesperson admitting that "the combination of two large companies...creates redundant positions that must be addressed to remain competitive." Recent analysis from CWA finds that the proposed merger between T-Mobile and Sprint, which Patel would help oversee as T-Mobile's new Executive Vice President for Merger and Integration, would result in the loss of more than 28,000 jobs across the country. "T-Mobile's hiring of Sunit Patel to oversee its proposed merger with Sprint should be a giant warning sign for anyone who cares about the merger's potential effects on American jobs," said CWA District 7 Vice President Brenda Roberts. "In addition to the detailed analysis showing why more than 28,000 current jobs are at risk if the merger goes through, we can add 1,000 personal stories of CenturyLink employees who have first-hand accounts of why Sunit Patel's hire undercuts the unsubstantiated claims by the companies about what the merger would mean for their current employees." Patel's tenure as CFO at CenturyLink also coincided with the company's 2017 decision to cancel its traditional Christmas bonus and its January 2018 announcement that it was suspending merit raises – all at a time when top company executives took home millions in bonuses, including a $1.3 million retention bonus issued to Patel as a result of the merger. 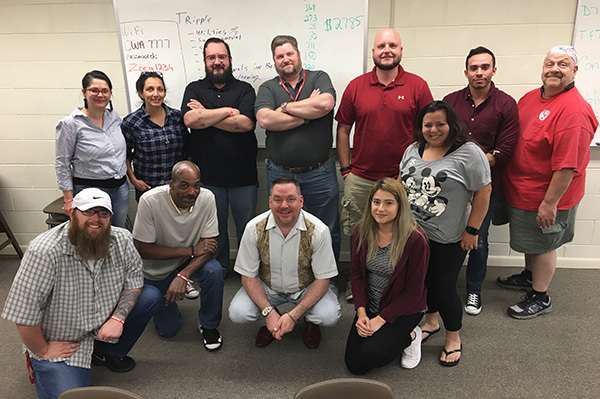 CWA members from AT&T Mobility and Cricket Wireless from Locals 7708, 7750, and 7777 gathered in early September for a two-day CWA STRONG organizing and steward training program in Denver, Colo. Participants learned new skills to strengthen and grow our union! Back row, left to right: D7 Organizer Enida Shuku, Lex Mendoza (Local 7750), Brock Smith (Local 7708), Kevin Thomas (Local 7708), Gabe Slevin (Local 7777), Cecilia Munoz (Local 7750), Alonzo Oronia (Local 7777), and Ben Rubin (Local 7777 Area Rep). Front row: Cory Rowley (Local 7708), Roman Greene (Local 7777), Mike Kate (Local 7708), and Blanca Palacios (Local 7750). The training was made possible by CWA's District 7 Internal Organizing Strategic Industry Fund (SIF) and the Unity at Mobility SIF. During his closing statement at Friday night's U.S. Senate debate with Democratic challenger Beto O'Rourke, Senator Ted Cruz (R-Texas) noted that in November there will be "a lot of things on the ballot" including jobs and paychecks. He bragged that two Texas-based corporations, AT&T and American Airlines, had given one-time bonuses after the corporate tax cut bill passed and claimed that cutting taxes on corporations and the wealthiest Americans has led to an increase in jobs. "It's nice to have a bonus check," said Esther Bishop, who was laid off from AT&T. "But a bonus doesn't go very far if you don't have a job. Senator Cruz needs to tell the rest of the story – that right after they handed out those bonuses, AT&T laid off hundreds of employees, right before Christmas in Texas and across the whole country. I was one of those employees who lost their jobs during that time." Stephenson pledged that if the Republican tax bill passed, the company would spend at least $1 billion in capital expenditures and be able to create "7,000 good jobs for the middle class." Instead, despite $20 billion in tax savings, the company has eliminated more than 7,000 jobs since January 2018 when the tax cuts took effect. "Senator Cruz should tell the truth about who that tax cut helped," said Michael Oliva, a passenger service agent at American Airlines subsidiary Envoy Air in Lubbock. "American Airlines is using that money to buy back their own stock to make their executives and big shareholders richer, not to raise our wages." 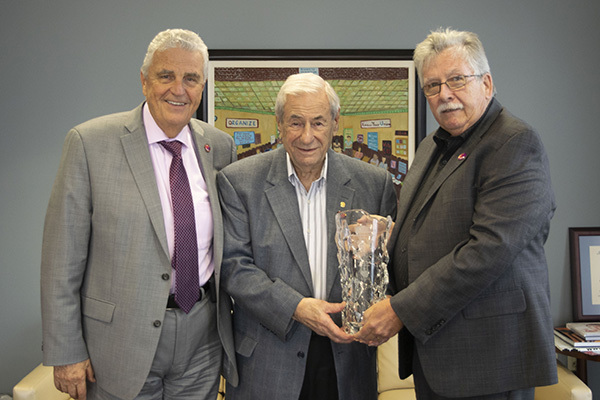 Former CWA President Morty Bahr (center) was honored with a Lifetime Achievement Award by the Elderly Housing Development & Operations Corporation (EHDOC), a nonprofit organization that develops and manages safe, secure, and affordable housing for senior citizens, and advocates for the highest quality of life for seniors. Current EHDOC Chairman and CWA President Chris Shelton (right) thanked Bahr for his tireless commitment and dedication while Bahr served as chair of EHDOC.